NTIC continues to provide leadership for several committees in NACE International, the association of corrosion engineers. An outcome of this work was the 2008 publication of NACE Standard TM0208-2008 that provides details of test methods for “Vapor Inhibiting Ability – Ferrous”, or VIA-F. Also, NTIC authors presented three technical papers at the recent annual conference of NACE in San Antonio, during March 14-18. They are summarized below where PDF copies can be obtained by the link to the titles. The paper provides technical and historical perspective considered in creating the recently published NACE standard test method TM0208-20081 for rapid qualitative evaluation to determine the presence of Vapor Inhibiting Ability (VIA) for corrosion protection of ferrous metal surfaces (VIA-F). The standard includes improvements in repeatability of outcomes and criteria for judging and reporting outcomes. An optional test method is included to judge possible confounding of the VIA effect with partial water absorption (desiccant) effects of some Volatile Corrosion Inhibitor (VCI) materials. The paper also provides considerations for creating one or more test methods to determine VIA with non-ferrous metals (VIA-NF), including considerations of “witness” metal specimens, atmospheric contaminants and appropriate rapid qualitative test methods for them. Read more. Acid-gas scavenging films (AGS) have existed in two forms, both with fillers that chemically react to reduce diffusion of acid-gases into sealed bags. These provide corrosion protection from acid-gases exterior to the package. They have no effect on corrosion in the presence of humidity and oxygen inside the enclosure. One form, called AGS-Cu in this paper, is opaque and contains copper and carbon particles. The other, called AGS, uses transparent inorganic oxide fillers, primarily to mitigate tarnishing of silver and silverware. A new technology combines AGS and Vapor Corrosion Inhibitor additives (VCI and VPI) for superior corrosion protection of multiple metals from the effects of internal humidity and external acid-gases. Test data show that combined VCI & AGS give best corrosion protection for a wider range of metals and atmospheric contaminants than VCI and AGS alone. Corrosion testing should consider the confounding effects of VCI, AGS and desiccation. Read more. Corrosion of flanges, valves and welded joints are major problems in the Oil & Gas, Chemical Process, and other industries. This paper presents a summary of new cover designs, laboratory test results, and application experiences in highly corrosive environments. This paper also describes the efficiency and experiences of these new covers and systems using VCI protection in combination with desiccants. In addition to offering corrosion protection, these covers have the added advantage of fast installation and easy removal and cleanup. The results show that these covers provide increased efficiency and service life for corrosion protection of various types of flanges, valves, welded joints in outdoor and indoor environments. Read more. NTIC continues to provide leadership for several committees in NACE International, the association of corrosion engineers. NACE is organized with a hierarchy of committees under a Board of Directors of members. 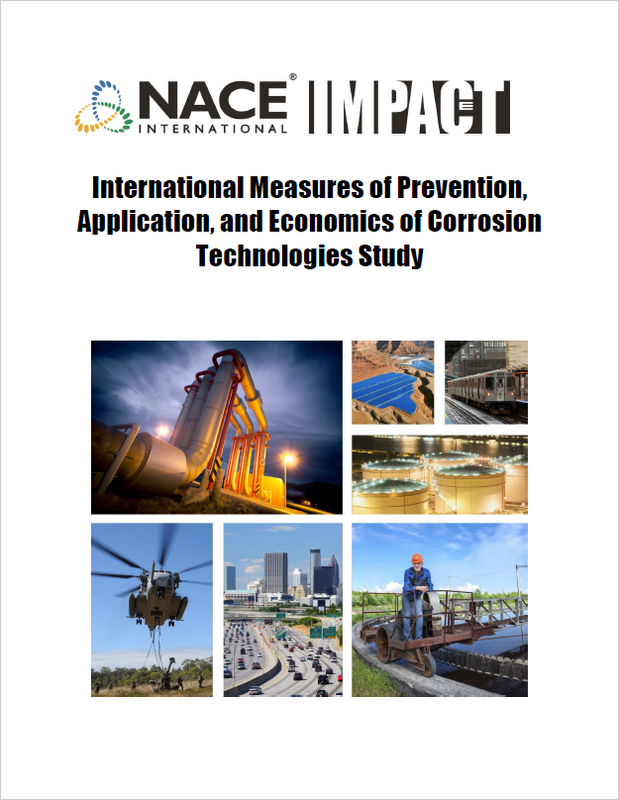 The board and all other members of NACE represent corrosion-related industries, universities, military organizations, consultants and other individual experts with interests in corrosion-related science and engineering. A group of upper level technical committees, called Specific Technology Groups, guide the work of NACE within broad categories. Special Technology Group STG-61, related to the use of corrosion and scale inhibitors. Dr. Jim Henderson is currently Vice Chairman of this STG. Each STG does its work through various Technology Exchange Groups (TEG), Task Groups (TG), Technical Symposia and liaison with other STGs. For example, STG-61 is currently composed of about 10 TEGs and TGs related to inhibitors used in the oil and gas industry as well as our smaller industry of VCI and RP materials. Several of the TEGs sponsor symposia for technical papers. Technical Exchange Group TEG-093X (within STG-61)is the forum for work in NACE on shared interested in VCI technology, applications, products, and materials. Jim Henderson is currently Chairman of this committee. He is Chairman and a reviewer for its symposium of technical papers. Task Group TG-215 (within STG-61) has been chaired by Prof. Lyublinski since 2002, with Jim Henderson as Vice Chairman. They have had exceptional supporting work from NACE staff and membership, and from NTIC by colleagues including Dr. Don Kubik, Barb Nygaard and Sue Shellhouse. This TG effort of several years resulted in the 2008 publication of NACE Standard TM0208-2008 of the test method for “Vapor Inhibiting Ability – Ferrous”, or VIA-F. Task Group TG-420 (within STG-61), Chaired by Jim Henderson, was just formed and met for the first time this year. They begin a process that is expected to result in a standard for test methods for “Vapor Inhibiting Ability – Nonferrous” (VIA-NF). Previous to becoming Vice President of NTIC a decade ago, and becoming a US Citizen, he was the Head of Laboratory of Combined Corrosion Protection Methods at Central Research Institute of Structural Materials (“PROMETHEUS”) in St. Petersburg, Russia. He was honored as the youngest scientist/lab director to have the honorary title of “Academician”, which recognizes a select few who are Full Members of the Russian National Academy of Sciences; designees strongly influence national scientific life. He has authored numerous patents and inventions, about 14 books and booklets, and more than 250 technical papers, articles and presentations at technical conferences worldwide in corrosion and corrosion protection areas. Service to NTIC since late 1990s, beginning as a consultant and President of a former subsidiary, and since 2001 as Director of Technical Marketing for the Zerust Division. 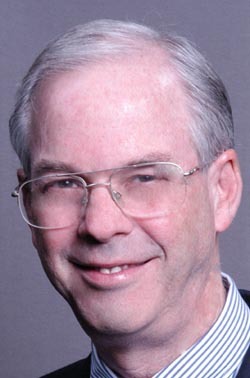 In the 1990s, he was Vice President of several Emerson Electric companies including the Emerson Corporate Advanced Materials Center,Branson Ultrasonics and Rosemount Analytical Inc. 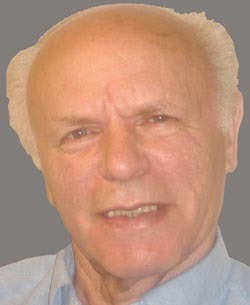 In the 1970s and 1980s he held a progression of management positions in GE Lighting, including directing the Lighting Materials Laboratory, program management to create several joint ventures owned by GE and Toshiba (Japan), and engineering leadership for various discharge lamp, halogen lamp and incandescent lamp businesses. He is a Trustee of MacMurray College, Jacksonville, IL (1983-present), earned a Ph.D. in physics from Duke University and undergraduate degree from Wesleyan University, and is a registered professional engineering.